There have been a number of reports in the media of late about a potentially significant breakthrough in the fight against Parkinson’s disease. These reports, which have appeared on the pages of the Parkinson’s UK website, and through agencies such as Time Warner Cable News, are about a new vaccine which might slow, or even stop, the progression of the disease. The vaccine is being developed in Austria with partial funding from the Michael J. Fox Foundation for Parkinson’s Research (referred to simply as the MJFF), and the publication of the reports on the work suggested an opportunity for me to write about the ongoing work of TeamFox SL here in Second Life in the battle to find a lasting cure for Parkinson’s disease, and in helping to support people diagnosed with Young Onset Parkinson’s Disease. Parkinson’s is a degenerative disorder of the central nervous system, which manifests itself in many ways. The most visible symptoms are related to movement: shaking, rigidity, slowness of movement and difficulty with walking, but it can cause bladder and bowel problems, speech and communication difficulties, vision disorders, and can also give rise to psychological problems such as depression. Around one in 500 people suffer from the disease world-wide and there is currently no known cure, although symptoms can be controlled through medication, therapy and, in some cases, surgery. It is most often seen as a disease affecting people of 50 or older, but this in itself masks a fact: a form of Parkinson’s disease can strike people at a much younger age, and one in twenty of the 8 million Parkinson’s sufferers worldwide is below the age of 40. This variant of Parkinson’s is known as Young Onset Parkinson’s Disease (YOPD). It differs from older onset Parkinson’s because genetics appears to play a stronger role in YOPD compared to older onset, and the symptoms may differ, together with the response to medication. One of those under the age of 40 who was struck by the illness was Canadian-born actor, Michael J. Fox, who started showing symptoms as a YOPD sufferer when he was just 29 and filming Doc Hollywood. In 1998, he revealed his condition to the world before establishing the MJFF in 2000, which is dedicated to carrying out research into both combating the symptoms of Parkinson’s disease and to finding a cure. It is now the largest non-profit organisation researching Parkinson’s. Funding such an aggressive research campaign as run by the Foundation doesn’t come cheap, although they are massively targeted in how they spend their funds. So, to help with fundraising efforts, and in response to Michael’s fans wanting to help with efforts in 2006, the MJFF established Team Fox, a grassroots community fundraising programme. In the eight years since it’s formation, Team Fox has raised over $27 million to help the Foundation’s research through a wide range of public-focused activities and events – which include Second Life, where TeamFox SL is helping to lead the fight. When first diagnosed, Solas was a full-time fashion designer. However, as the illness progressed, she was forced to leave that career behind. Fortunately, her discovery of Second Life allowed her a way to re-engage in her passion for design, and she founded her own fashion label at Blue Moon Enterprise. That way came with the founding of Team Fox. 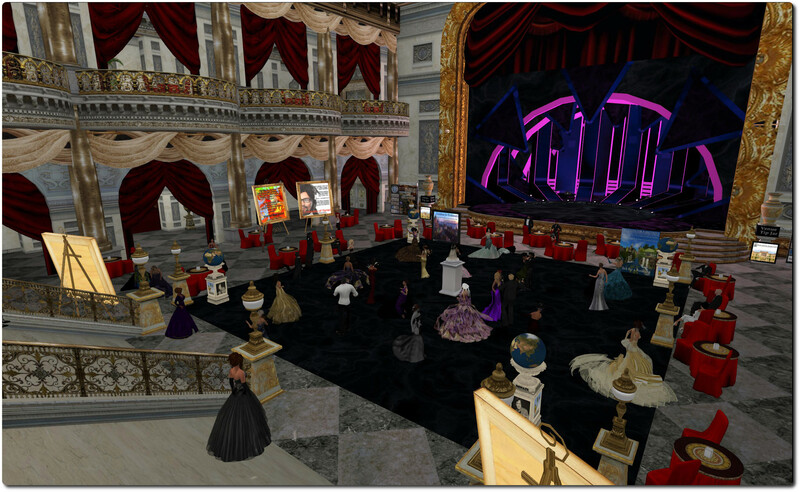 Not only did Solas direct 100% of the proceeds from the sales of her SL designs to Team Fox, she also established TeamFox SL in 2008, the first Team Fox presence to be established in SecondLife, and to be officially sanctioned by the organisation. Team Fox SL is dedicated to raising funds for the MJFF, disseminating information about the disease, and providing support for those diagnosed with the illness and their families. In this latter regards, TeamFox SL places special emphasis on providing information on YOPD and helping those diagnosed with YOPD. This focus is for two reasons; the first is Solas’ own experience as someone diagnosed with YOPD who has trod the route faced by many others diagnosed with the condition and the unique challenges it presents. YOPD sufferers are faced with having to consider how to manage a chronic disease while engaged in career, perhaps raising a family – or even starting a family – and maintaining as high a degree of wellness as possible for as long as possible. The second reason for the focus on YOPD is the SL demographic itself. YOPD affects people who are 40 or younger; an age range which probably defines the greater portion of SL users, and so it is probable than many of those diagnosed with Parkinson’s and who use Second Life are afflicted by YOPD. In terms of fundraising, TeamFox SL helps to organise events and activities throughout the year and works closely with other Parkinson’s disease support groups in Second Life, particularly Creations for Parkinson’s, established by Barbie Alchemi, the daughter of Fran Serenade, whose own remarkable story I covered in these pages in 2013, and has also been the subject of The Drax Files: World Makers. Perhaps one of the most high-profile events co-organised by Solas and co-hosted by TeamFox SL and Creations for Parkinson’s, was the Michael J. Fox Premiere Party, held at Angel Manor in September 2013 to mark the star’s return to television in his own series, and at which a staggering L$425,000 was raised in just three hours through donations and a special silent auction. While figures like $27 million and L$425,000 sound incredible, they are still a drop in the ocean; the Michael J. Fox Foundation has raised over $400 million in fourteen years, it has funded a huge amount of research, but as long as Parkinson’s remains a blight on people’s lives, there will always be more to be done. Because of this, TeamFox SL are always looking for help with raising funds. As a part of this, the group offer in-world kiosks that stores, clubs and role-play venues can set-up in their welcome areas, etc., and also a range of TeamFox SL vendors merchants and groups can use to sell nominated goods with 50%, 75% or 100% of proceeds going directly to Team Fox. The group is also always keen to hear from communities, groups and venues willing to host fundraising events such as live entertainment and music events, fairs, gachas, hunts and so on. Really, the opportunities are really only limited by our imagination. In addition, as a part of their work in disseminating information about Parkinson’s disease and YOPD, TeamFox SL would like to hear from any group or organisation in SL interested in hosting a meeting or presentation where people can find out more about the illness and the work of Team Fox and the MJFF. If you and / or your community, group or business would be interested in helping TeamFox SL with any of the above (either as a one-off event or even by adopting Team Fox and the MJFF as the focus of your fundraising activities), or would like to receive a TeamFox SL kiosk or TeamFox SL vendors, please drop Solas NaGealai, Calla Rossini or Chelsea Rae (funkychunkychelsea) a note card in-world; they’ll be sure to get back to you. You can also e-mail requests for information / items to info-at-teamfoxsecondlife.com. If you are suffering from Parkinson’s disease or have been recently diagnosed, or if you have a friend with it, or are helping a family member live with the illness, members of TeamFox SL are always ready to provide support and address issues and concerns. In addition, if you would like to join with others for fun, friendly and informational weekly get-togethers, there is an open invitation to join the Parkinson’s Support group at their weekly meetings held at 10:00 SLT (10:00 am PDT). There’s a long way to go on the road to finding a cure for Parkinson’s disease; even potential breakthroughs such as the vaccine mentioned at the top of this report could take another 8 years before they gain approval for general use. 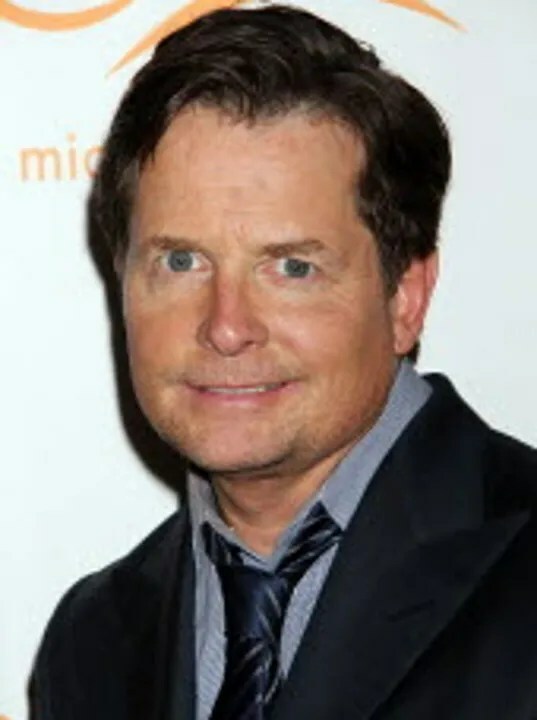 Michael J Fox has often said the he established the MJFF as a business with the single goal: to put itself out of business by helping to find an effective cure for Parkinson’s. By supporting TeamFox SL, we’re all helping him to achieve that goal.